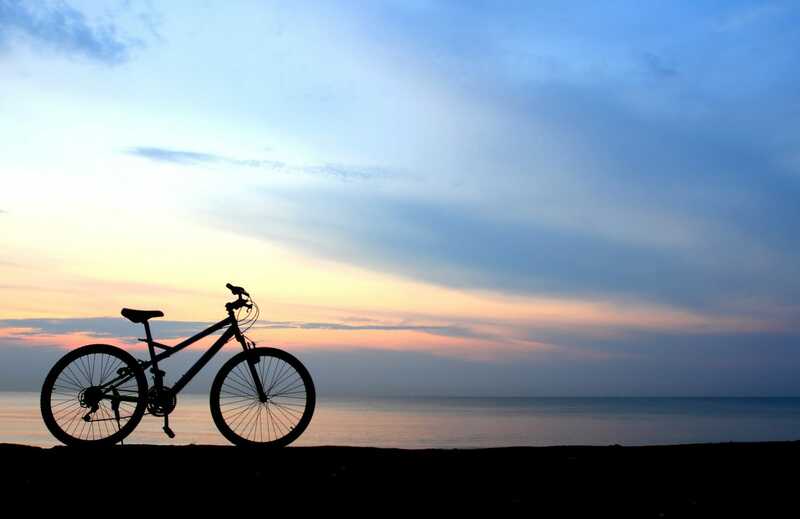 Explore the great outdoors during your visit to Cape Cod! There’s nothing like heading outside and getting some fresh air during your stay at Candleberry Inn. Explore the abundant greenery and breathtaking landscapes our area has to offer when you enjoy some hiking in Cape Cod! Here are some of our favorite hiking spots. Whether you consider yourself an adventurer or are just looking to relax, Cape Cod is the perfect place for you. If you’re planning on coming to our area, take a look at our complimentary Vacation Guide. As locals in the area, we put together a list of useful information so you can have the trip of a lifetime. Whether you are looking for the best hiking in Cape Cod or which beaches to go to, this free guide will help. There is a huge network of hiking trails in Nickerson State Park! Located just a few minutes away from Candleberry Inn, this is the perfect place to see the beauty of the Cape. 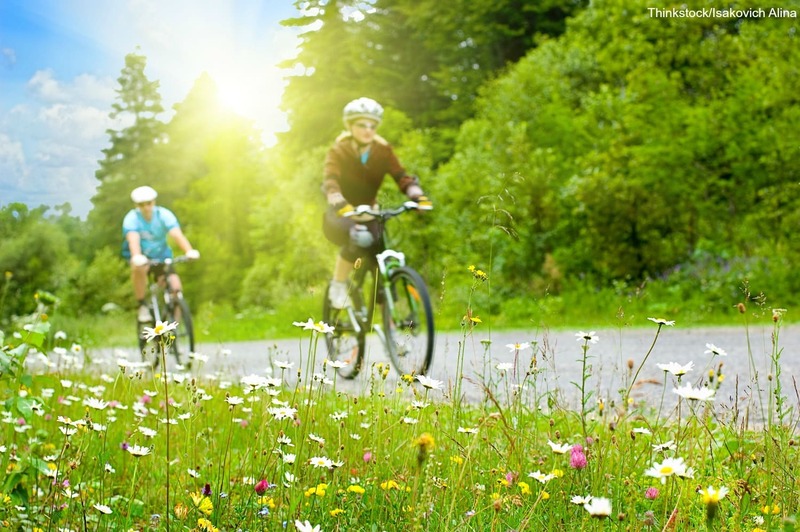 Whether you choose to hike or bike, each trail offers a variety of terrain. You’ll get to travel through lush hills and pine forests! Located in Nickerson State Park, the trail around Cliff Pond is one of our favorites for hiking in Cape Cod. The 2.8-mile loop will take you around the pond! 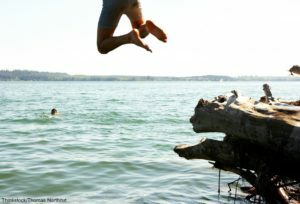 It is great for all skill levels, and you wil get views of the water from nearly every point. Then, you can cool off by jumping into the water if it’s a hot day! If you prefer hiking in Cape Cod on pavement, you will love the Cape Cod Rail Trail. Years ago, because of the rail system, the peninsula turned into a summer resort destination. Food, provisions, and people were easily transported in and out. After the invention of the automobile, the rail fell into disrepair. Today, the railway has been removed and the area paved to create miles of easy trails perfect for biking, walking, and running! You’ll get to travel through pine forests, marshes, cranberry bogs, and many local spots on this popular trail. 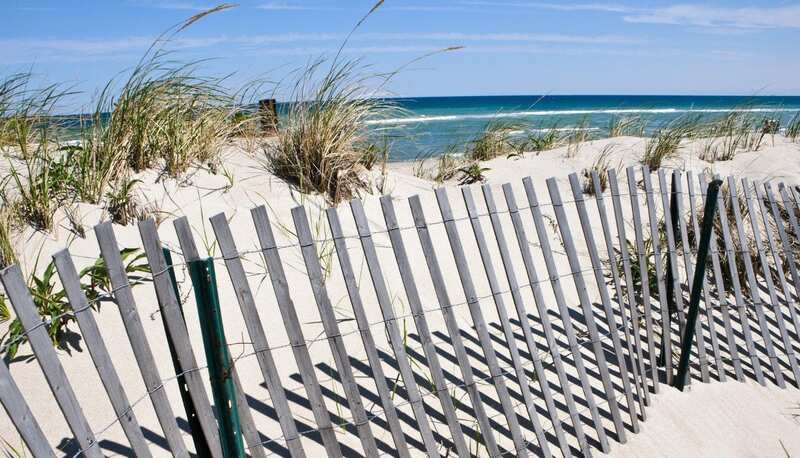 The Cape Cod National Seashore is made up of more than 40 miles of sandy beach, ponds, and marshes. If you’d like to hike through it, we recommend going on a Ranger-Guided Tour! They can take you canoeing, take you to tour open houses, and show you the best hiking in Cape Cod. Plus, with the exception of canoe trips, each excursion is free! We want all of our guests that stay at Candleberry Inn to have the best trip possible! As your innkeepers, we are always here to help you plan the getaway of a lifetime. Please feel free to ask us any questions about the area. We have tons on maps and brochures for guests looking for walking and hiking recommendations as well as Walking the Cape and Islands: A Comprehensive Guide to the Walking and Hiking Trails of Cape Cod, Martha’s Vineyard, and Nantucket by David Weintraub. 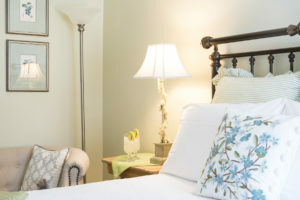 You’ll love coming back and relaxing at Candleberry Inn after your day of hiking in Cape Cod. Browse through our cozy accommodations to start planning your stay! Each of our rooms has been designed with your comfort in mind. Plus, you’ll be treated to our outstanding amenities and a complimentary breakfast to start your day off right. Book your stay today!